We are a leading Manufacturer of dry mortar machinery and dry mix mortar machinery from Pune, India. We are a renowned and customer centric firm, which is engaged in delivering a comprehensive range of Dry Mortar Machinery. Note : As it is customized product costing will be varied according to plant capacity and catagory. Packaging Details: Depends on requirement..
We are the leading manufacturer ofDry Mix Mortar Machinery and our product is made of good quality. Packaging Details: As per plant size & customer requirement.. 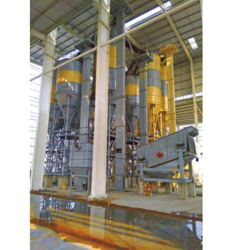 Looking for Dry Mortar Machinery ?